Chantal Fortune is a Collector, young Antique Dealer and the Proprietor of Fortune’s Antiques & Interiors. She has a great passion for all things Beautiful and Old. She is Charming, Charismatic and has an Aesthetically pleasing eye for Interiors. 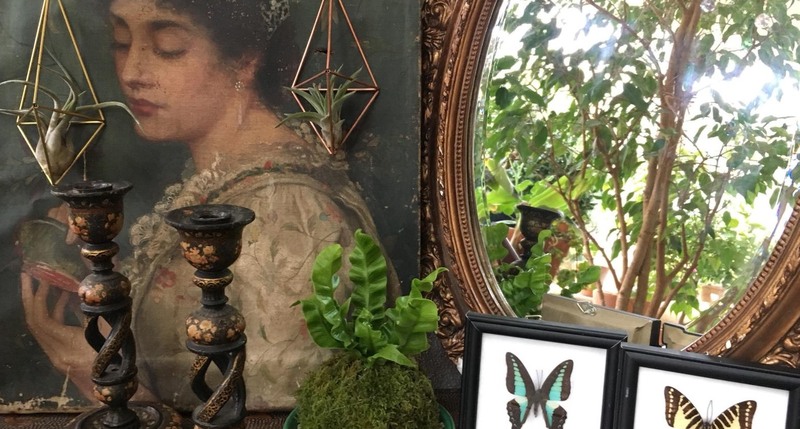 Chantal currently runs a studio in County Wicklow where she holds a wonderful array of eclectic stock and is her base for the Interiors work she does for Pubs & Bars within the hospitality industry. Viewing by appointment only to the studio. Chantal comes from a long line of Collectors on both sides of her family. Her Irish Mother is an eccentric Collector and her Spanish Father was an Art Collector and Antique Dealer. At present she is studying Interior Design at the Interior Design Academy of Ireland. She has studied Antiques and Fine Arts at The Institute of Professional Auctioneers and Valuers, Dublin, Ireland. Wrote her Thesis on “Antique Irish Lace”.